Nice reflections of the surrounding trees. I suspect there's not diving off the dock! Excellent shot and love the reflection. Ditto Linda about the turtle! This is very unique, and of course I love the reflections. I keep looking underneath thinking I might see a turtle. Great shot Howard! Interesting find. That raised end raises questions, for sure. Looks like some young boys made this for a ramp. Nice capture. 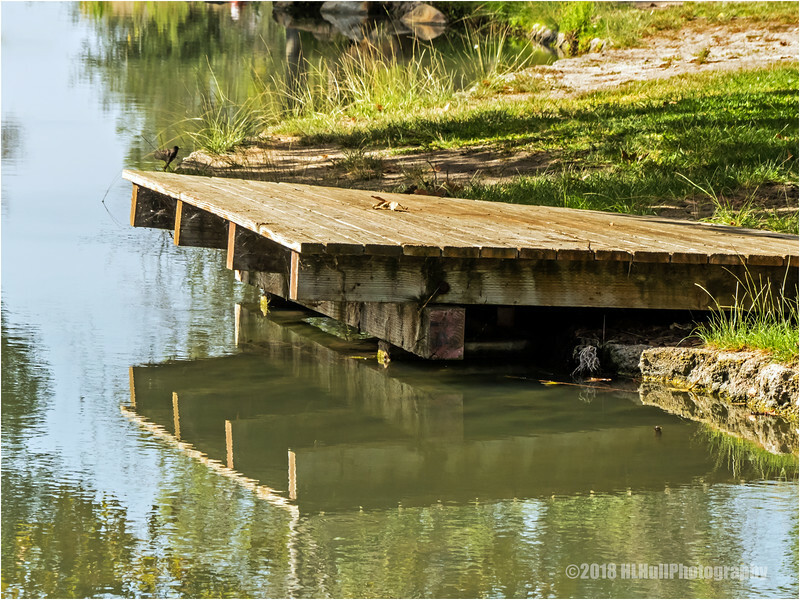 Nice capture with the reflections -- looks like something young boys would want to use as a jump for their bicycles.